Wendy Kurtz is Founder and President of Elizabeth Charles & Associates, LLC, a public relations and business development firm that specializes in helping executives become published authors and fee-paid speakers. An accredited professional and award-winning business expert, Wendy has been helping individuals, businesses and organizations develop and deliver their marketing and communication messages efficiently and effectively for more than 25 years. She has been billed as “the Empress of PR” by Mark Victor Hansen, co-creator of the Chicken Soup for the Soul publishing empire. In fact, it was her work with Hansen and his network over the years that led to her firm’s specialization today. Prior to founding her firm in 1997, Wendy was the Manager of Special Events for telecommunications industry leader Sprint, where she had previously worked in internal communications and was a core member of the team that developed and launched the company’s first intranet. She came to Sprint after serving as Executive Director for a United Way agency that provided substance- and violence-free activities for over 14,000 high school students in Orange County, Florida. She has widespread experience in fundraising and volunteer management. 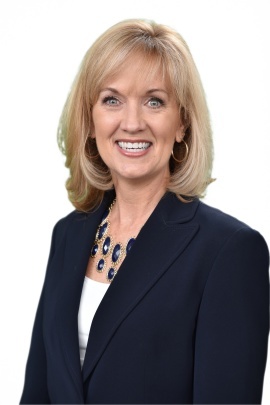 Wendy is a member of the Executive Committee of Orlando, Inc. (formerly the Orlando Regional Chamber of Commerce), recently serving as Chairman of the Accreditation committee and leading the organization’s successful application process to achieve five-star accreditation. Of the 7,077 chambers of commerce in the United States, only 89 chambers have been awarded Five Stars, putting Orlando, Inc. in the top one percent of all chambers in the nation. A strong advocate for economic development, Wendy is on the Investor Relations Committee for the Metro Orlando Economic Development Commission and a board member for the Apopka Area Chamber of Commerce, having been elected for two consecutive terms as Chairman of the Board of Directors. She currently chairs the programs committee for the Independent Practitioners Alliance of the Public Relations Society of America (PRSA) and was a founding board member for the Orlando campus of weVENTURE, part of the Women’s Business Center at Florida Tech. Wendy is also a past president of both the Public Relations Society of America’s Sunshine District and the Florida Public Relations Association’s Capital chapter. See more here. Wendy is the Immediate Past Chairman of the Apopka Area Chamber of Commerce, a founding board member for the Orlando campus of weVENTURE (part of Florida Tech’s Women’s Business Center), an ordained Elder in the Presbyterian Church and is in her second term on the Central Florida Presbytery’s Committee on Ministry (“COM”), where she also serves on the Temporary Relations committee. An avid reader since childhood and a strong proponent for the importance of ongoing professional development, Wendy describes her work as “the perfect mix of hobby and career.” She credits her love of business books as the catalyst that led to her niche with executives and business professionals. Wendy also enjoys fiction, but purely as a hobby. She fell in love with crime drama in elementary school, devouring the entire Nancy Drew series and moving on to the Hardy Boys, all during a single summer. So it’s no surprise that as an adult, Wendy successfully sought permission to shadow local law enforcement, going to crime scenes and sitting in on suspect interviews. She even spent time with the medical examiner and watched an autopsy performed at a county morgue, as part of her research for a homicide novel she hopes to finish one day. Wendy is also passionate about animal welfare, having rescued many animals in distress over the years. Her family currently shares their home with two beloved shelties: Faith, a bundle of energy who firmly believes the meaning of life is to play hard, take frequent power naps, and when you really want something, be extremely vocal; and Murphy, who was recently adopted from Mid-Florida Sheltie Rescue and is quickly learning that with a family’s patience, love and nurture, a dog and his abilities really can reach their full potential! Wendy and her husband, Dean, have been married for 17 years and live in the Orlando area.